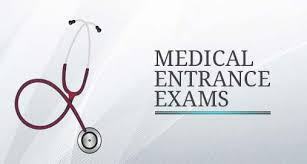 Assam CEE 2016 stands for Assam Common Entrance Examination, which is conducted in state level, for the students who want to perceive their career in medical stream after completion of 12th standard. All eligible candidates can apply for exam it is divide in twp phase where students would be qualified on their past knowledge on three subjects of Science PCB. Exam would be conducted in the month of May but application for the same starts from beginning of April. Assam CEE 2016 is conducted for enrolling the students in 626 MBBS & 40 BDS Seats in various colleges of Assam. Age of applicant should be above 17 years or exactly 17 before the last date of application. Applicant should be permanent resident of Assam and an Indian Citizen. Applicant should be minimum 12th or its equivalent passed with 60% marks in PCB. Note: For SC/ST/OBC marks in PCB is 50% as per Assam CEE 2016. Note: Out of 626 seats 503 seats are available for Assam students. Assam CEE 2016 Exam is a written examination conducted by Dibrugarh University in two section i. e. Paper 1 and 2. Both the paper are conducted in two different dates i. e. if Paper 1 is on 14th then paper 2 would be on 15th of the same month. Note: Above mentioned dates are tentative, they are subject to change.